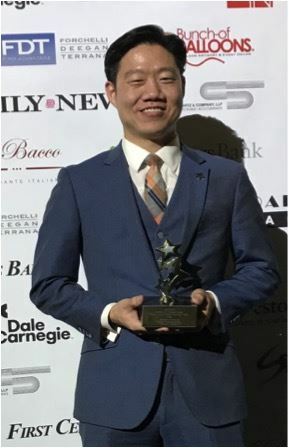 Joe Gim Receives 2018 Stars Under 40 Award! Speakers from MacGregor Abstract, Cohen & Frankel LLP and Seiden Schein LLP will discuss aspects of due diligence when entering into residential real estate contracts. On February 27, from 6 p.m. to 8 p.m., KALAGNY, AABANY's Real Estate and Solo and Small Firm Committees and MacGregor Abstract are co-hosting this CLE with Flushing Bank at its 99 Park Avenue office in Manhattan. Please see this flyer (pdf) for more information on the panel. For more information and to RSVP, please contact Margaret Ling, Co-Chair, AABANY Real Estate Committee, at margaret.ling@aabany.org. Please join us for a CLE presentation on the potential tax pitfalls in solo and small law firm transactions and the taxpayer resources that can provide assistance. The speakers will be Margaret T. Ling of MacGregor Abstract and KALAGNY members Eunkyong Choi of the NYC Office of the Taxpayer Advocate and Sung Hwang, a partner in Venable LLP's Tax and Wealth Planning practice. The CLE will take place at Flushing Bank, 61-14 Springfield Boulevard, Bayside on Tuesday, March 6 from 5:30-8:30 p.m. A portion of the evening will be reserved for networking with other attendees and a light buffet will be provided. This event is co-sponsored by Flushing Bank, AABANY's Solo & Small Firm Committee and Real Estate Committee, MacGregor Abstract and Venable LLP. Please contact Margaret Ling at margaret.ling@aabany.org for more information and to RSVP. Click here to see the event flyer. KALAGNY's pro bono clinics are held in Manhattan and Queens on the first Tuesday of every month, from 7-9 PM. The next clinics will take place on March 6, 2018 at the locations listed below. Please spread the word to family, friends and neighbors in need of legal counsel. A Korean-language flier describing our services can be found here (pdf). For more information, including on how to volunteer, please go to "Pro Bono Clinics" on the left sidebar on our home page or simply click here. Joe Gim Named One of 2018's Stars Under 40! Congratulations to KALAGNY member Joe Gim, Assistant D.A. Nassau County, on receiving the 2018 Stars Under 40 Award with Schneps Communications! Joe's Stars Under 40 Award was a well-deserved recognition of all of his efforts and contributions to the community. KALAGNY warmly congratulates Joe, together with all of the recipients, including Korean Community Services officers Linda Lee and Joseph Yun! The Reverend Jesse Jackson will meet the Korean American Association of Greater New York (KAAGNY) on Monday, February 26 to deliver a message of peace for the Korean peninsula and pay his respects to the Statute of Peace. His meeting with KAAGNY will be followed by a press conference at 11:30 a.m. that is open to the general public. KAAGNY is located at 149 W. 24th Street, 6th Floor, Manhattan (map). The KALAGNY Nominations Committee is now accepting applications for five Governor positions. If you are interested in seeking one of the Governor positions, please submit your Statement of Interest along with your resume to kalagny@gmail.com no later than March 5, 2018, 11:59 pm. Please add the word "Election" to the subject line of your e-mail. Late submissions will not be considered. Only persons who were dues-paid KALAGNY members as of January 31, 2018 are eligible to seek election. Information regarding the slate of Governors selected by the Nominations Committee will be circulated and/or posted on the KALAGNY website by March 19, 2018. To find out more about applying for nomination and the elections taking place on April 18, 2018, please click here. If you have any questions, please contact us at kalagny@gmail.com. NAPABA's Annual Lobby Day is an opportunity for NAPABA members to meet with members of Congress and congressional staffers in Washington, D.C. on issues of importance to the Asian Pacific American community. Participants will be given all the information and materials you need to meet with legislators on Capitol Hill, as well as webinar and onsite training to prepare for Lobby Day meetings. This year's Lobby Day takes place on May 7-8, 2018. NAPABA direct members traveling to D.C. from out of town are eligible to apply for a Lobby Day stipend by March 9, 2018 to help cover the costs of attending. For more details on Lobby Day and how to apply for the stipend, click here. 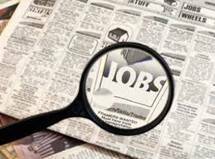 KALAGNY members can view all of our current job postings by logging in on our website or by clicking here.